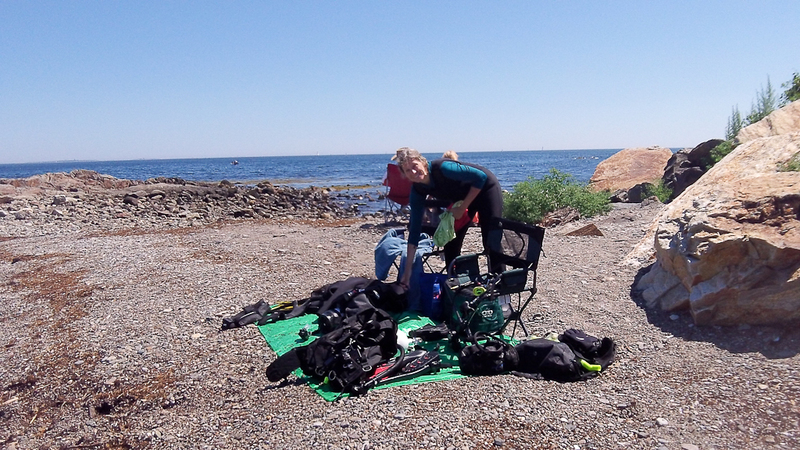 During the last weekend of July Eileen and I went to Sunken Forest dive site near Odiorne Point in Rye, New Hampshire. 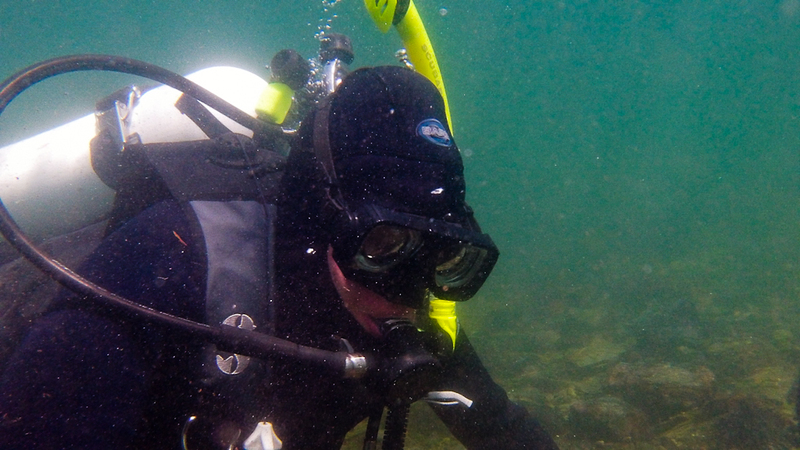 Eileen found one of the petrified stumps on Saturday’s dive. On Sunday I brought the Kodak PlaySport camera. I got both video and stills. However I think I took the camera too deep and the camera died but I saved the video and photographs. 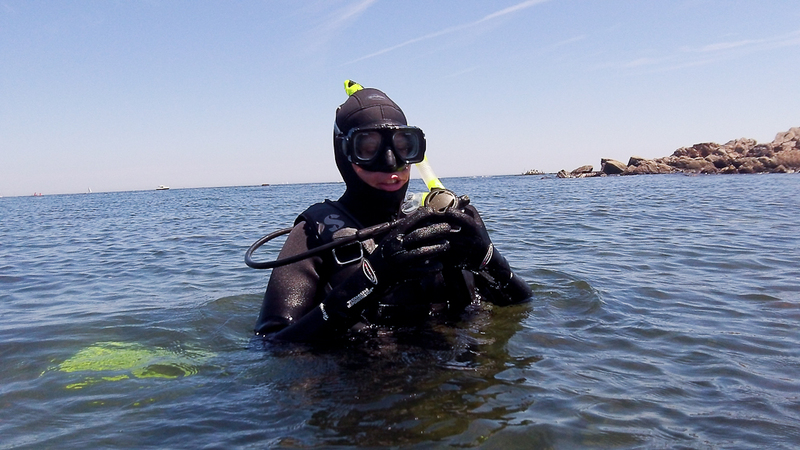 It is a shallow dive site that is much easier to do during high tide.It is also the perfect dive training location. 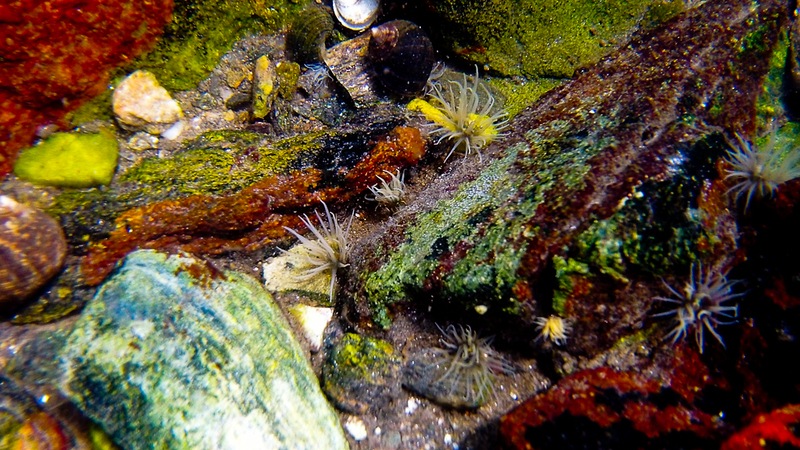 Even though it is shallow it is an interesting dive site because it reminds me of a giant tide pool. 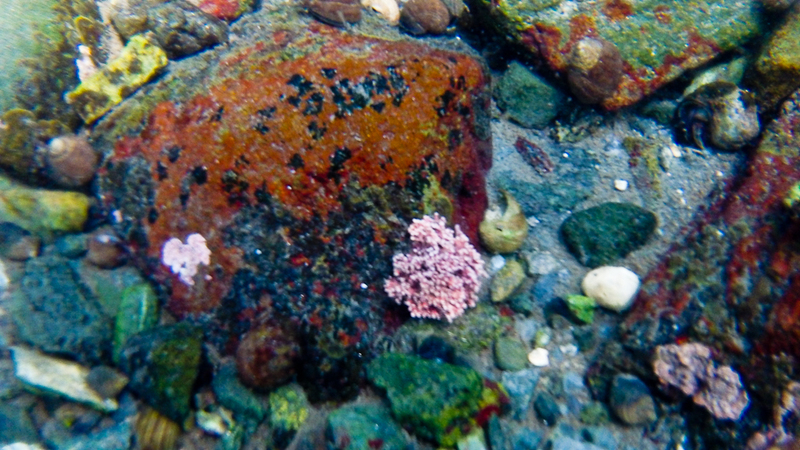 Eileen spotted some Burrowing Anemone. I had never seen these before some it was a great find. 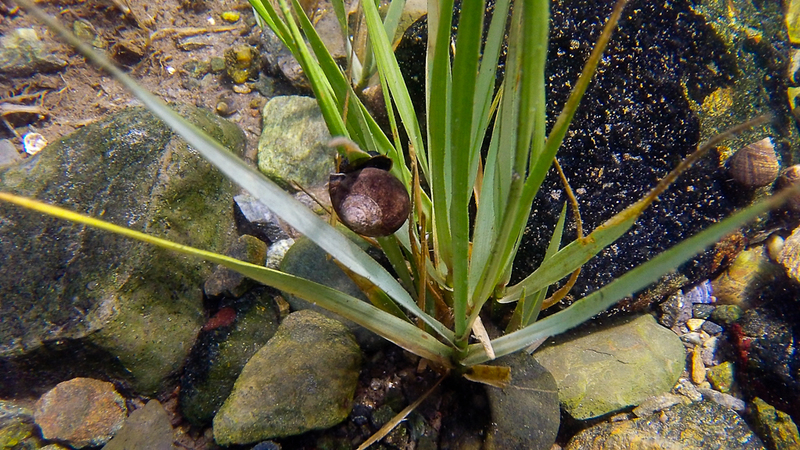 This Periwinkle climbing a blade of eel-grass was an unusual scene worthy of a photo. Upon getting home I compiled a list of marine life we had observed.